Management academics are increasingly interested in the uses of the past (see here). For a good gateway into this literature, see the very recent article in Administrative Science Quarterly by Mary Jo Hatch and Majken Schultz (both of Copenhagen Business School). The focus of much of this research how managers and other social use ideas about history to get what they want in the present. In this blog post, I’ll try to show how this body of theory is useful in understanding a recent development in Canadian politics. As long-time readers of this blog know, I’m now every interested in social memory (i.e., how perceptions of the past influence thought and action in the present). In an early stage of my academic career, I published extensively on the process by which the Canadian constitution of 1867 was created. This process is called Confederation. British North America Act of 1867, which united several British colonies into a federal state, still forms the basis of Canada’s written constitution, which is why 2017 is considered to be the 150th anniversary of Canada. The 150th anniversary has been marked with public celebrations and commemorative projects all across the country, some of which are funded by a special program of the Canadian government. 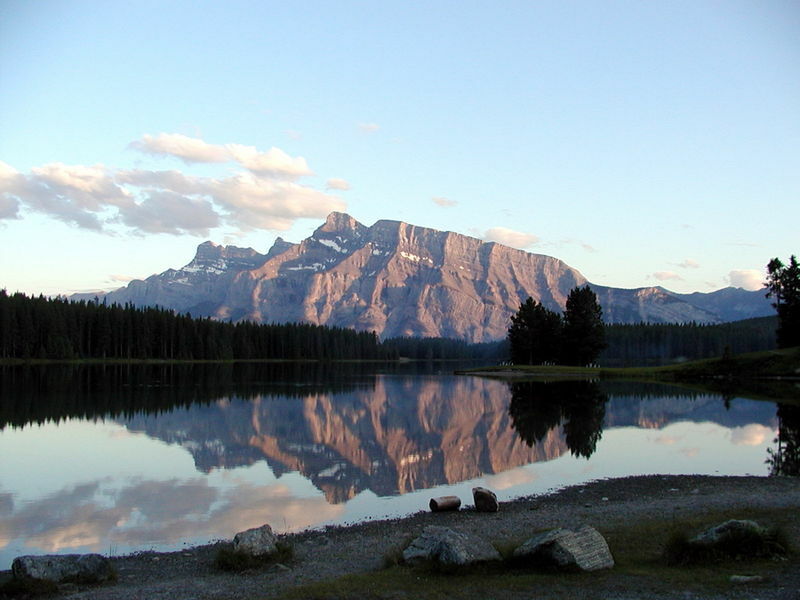 To mark the 150th anniversary of Confederation, the entry fees to all national parks have been temporarily lifted. The government has decided to use the 150th anniversary of Confederation as an excuse to fund a variety of perfectly worthy projects that range from making playgrounds more accessible disabled children to orchestra tours to more funding for a ParticiPACTION, a campaign to make Canadians exercise a bit more. (see full list here). Most of these fine projects have zero heritage or historical content and are thus similar to the civic projects that marked the 100th anniversary of Confederation in 1967. The 1967 Centennial project fund resulted in the construction of a string of municipal swimming pools, hockey arenas, roads, libraries, etc all across Canada, all of which have the name Centennial. As someone who was born in the 1970s, I was able to make use of some of the facilities built in 1967, so I would imagine that the facilities that will be opened this summer will benefit future generations. [I must confess that I am less certain that the gigantic rubber duck that Toronto has rented for the summer to celebrate the 150th anniversary of Confederation will actually benefit future generations, or indeed current residents of that city. The plan is to let the duck drift around Toronto harbour for the summer in a “whimsical” fashion. Although we are assured that the duck does not pose a threat to navigation, its arrival in the city has generated some debates about cost effectiveness]. Ok, let me get back to my main point. Some people have observed that the projects that the government has funded to mark the sesquicentennial of Confederation do not have anything to do with the actual event being commemorated (Confederation). Some historical or heritage projects are being funded, but they are designed to share stories about many events and historical periods in Canadian history rather than the events of 1867 itself. For instance, there has been an oral-history initiative called Red Couch, which invites people to sit on a sofa in a public place and reminisce about what they have observed during their lives. Since nobody born in the nineteenth century is still alive, of course, this form of heritage will say nothing about Confederation in 1867. Similarly, children are being invited to make short videos called Here’s My Canada in which they talk about whichever events in Canadian history are of interest to them. From what I can see, the children were not asked to speak about the events of 1867 and they probably weren’t even told of them. The legal academic Leonid Sirota has recently noted that while academics are using the sesquicentennial of Confederation as occasion for debating Canada’s past and future constitutional development , the same is not true of the non-academic events designed to mark the sesquicentennial. In other words, whilst law school professors and political scientists interested in the constitution have organized scholarly conferences and journal special issues about that discuss the events of the 1860s, the government-funded events for the public have avoided discussing this issue. In management journals, we have the concept of “organizational forgetting.” My fellow business-school professors have published a great deal of work on this subect. That’s what appears to be taking place in Canada right now—a conscious desire to try to supress discussion of 1867 and to get people to forget about the snippets of historical knowledge they have from high school that relate to the process that resulted in Confederation in 1867. Most Canadians vaguely remember a little a bit about the various constitutional conferences in Charlottetown, Quebec City, and London that resulted in Confederation in 1867. The iconic pictures of these conferences taking place used to be very common in Canadian history textbooks and can still be found hanging in Canadian public buildings. These conferences have also been depicted on postage stamps (see below). The organizers of the Canada 150 celebrations could have used this summer’s celebrations as a teachable moment for building on the public’s rudimentary knowledge of politics in the 1867 to teach people about the process by which their constitution was created. It appears that they consciously decided to avoid doing so. So we have a very curious pattern: there is a concerted effort to ensure that little is said about the making of the Canadian constitution of 1867 in a series of celebrations designed to mark the 150th anniversary of this constitution. The journalist Andrew Coyne recently mocked the whole Canada 150 project for, er, forgetting about Confederation. Lawyers, who are naturally inclined to think that the 1867 constitution is rather important, have also noted that the celebrations are skipping over the thing they are supposed to be celebrating. In a recent issue of the magazine of the Canadian Bar Association, Sirota speculates that part of the Liberal government’s evidence reluctance to mention the events of 1867 may be a desire to avoid accusation of partisanship and the manipulation of the historical record. He notes that “both Liberal and Conservative governments have a record of playing politics with history and refusing to honour figures associated with the other [main] party, and it would have been difficult to mark Confederation without talking John A. Macdonald and George-Étienne Cartier” who were both Conservatives. I have a somewhat different explanation for the policy of not mentioning the war not mentioning Confederation. Anniversary celebrations can themselves be “performative” to use a fancy social-science term. That means that discussing a historical events may encourage people to think about doing something similar. The historical event or figure becomes a sort of role model. Consider the case of the firm du Pont Company, which was founded in 1802. According to the historian Alfred Chandler (1962, p.52), the process of planning the 100th anniversary in 1902 forced the firm’s senior leaders to reflect on the future of the firm and whether dramatic administrative reorganization was required to deal with certain real changes in the firm’s operating environment. In the next few years, Du Pont, dramatically changed its internal organization. The firm likely would have made the same changes anyway had the anniversary not focused the minds of its leaders of fundamental issues, but it does appear that the anniversary had at least some impact on their thought process. A more dramatic case of anniversary celebrations being a focal point that encourages people to think about institutional change is the 1967 centennial celebrations in Canada. The 100th anniversary of the introduction of a new constitution (the British North America Act of 1867) prompted the political leaders to think about whether the constitution needed to be changed. The public celebrations of Confederation coincided with a meeting of senior politicians called The Confederation of Tomorrow where future changes to the constitution were discussed. Now there was no obvious reason why constitutional change was urgent in Canada in the mid-1960s: although a very small nationalist movement was present in Quebec, the existing institutional arrangement represented by the 1867 constitution appeared to be working well—the country was politically stable, GDP was growing rapidly, unemployment was low, etc. Canada was a net recipient of migrants from the US, which was another sign the existing institutional arrangements were performing well. In some societies, constitutional change is necessary. In Canada in the 1960s, it was a solution looking for a problem. However, I can understand why Canadian politicians of the 1960s wanted to hold meetings and change the constitution. That’s because they had been brought up in a political culture that valorizes well, politicians who sit around in conferences and talking about changing the constitution. In some countries, they way to get your face on a postage stamp is to lead your country into war. In Canada, the way earn a place in the historical record is to attend meetings where you negotiate changes to the constitutional order. The men in the picture from 1967 I’ve pasted above may well have grown up licking postage stamps that celebrated the men who attended the 1864 constitutional conference in Quebec City. (I’ve also pasted a 1917 Canadian postage stamp that celebrated this meeting and the men who attended it). Come of think of it, the politicians who attended the 1967 Confederation of Tomorrow Conference probably did see the 1917 postage stamp as boys. I would speculate that staring at pictures of the Canadian constitutional meetings of the 1860s inspired Canadian politicians of the 1960s to become constitution-makers themselves. They had a role to perform! At around the time of the 1967 confederation celebrations, Canada’s federal and provincial leaders began a series of grand conferences devoted to the subject of how the constitution should be modernized. 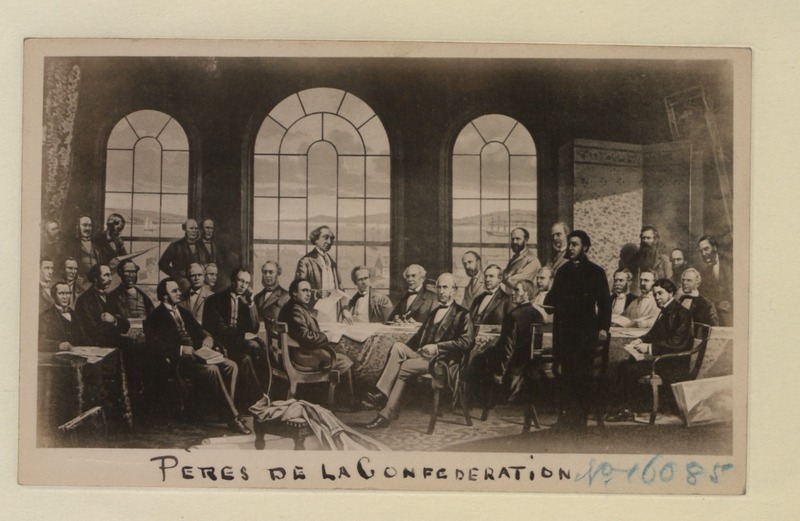 These meetings were, visually, rather similar to the constitutional meetings that led to Confederation in 1867: they involved representatives of all of the provinces sitting together to talk about details of the constitution. The clothing styles were different and there were TV cameras rolling, but in other ways the process was basically similar to the earlier constitutional conferences. Constitutional politics came to dominate Canadian politics from the 1970s to the early 1990s, when the last of these attempts at macro-constitutional change failed, when the they so-called Charlottetown Accord, a package of constitutional amendments was rejected in a deeply divisive national plebiscite. For symbolic reasons, this accord had been negotiated in the city of Charlottetown, which has also hosted the famous 1864 constitutional meeting (see pictures below). From about 1993 to the present, the Canadian political class has sought to avoid marco-constitutional politics—the use of the so-called C-word (i.e., “constitution”). The focus has been economic policy, healthcare policy, global warming, the war on terror, and pretty much everything except the constitution. The focus of politics has been on making decisions within the existing constitutional framework rather than changing the constitutional issues themselves. I have no insider knowledge of the process by which the planners of the Canada150 celebration decided to ignore the actual events of 1867. However, I suspect that they were thinking that any public events that commemorated earlier rounds of constitutional bargaining (e.g., high-profile visits by political leaders to the sites of the constitutional meetings of 1864 and 1866-7) might encourage political actors to re-open the subject of constitutional reform. The last thing any Canadian Prime Minister wants is to legitimate calls for another set of constitutional conferences. Instead, the Prime Minister wants to simply enjoy the festivities, which will culminate on 1 July, Canada’s national holiday and the precise moment when the Canadian constitution turns 150 years old. There will be a massive party and outdoor music festival in front of the Canadian parliament. As if on cue, the Quebec government announced on 1 June that it was seeking to re-open the subject of the constitution. It proposed a gathering of political leaders from across Canada so that the constitution can be re-written so as to satisfy its five demands for constitutional change, along with demands that may come from Aboriginal Peoples. In releasing a document with its proposals for constitutional change, the Quebec government explicitly stated that the timing of its publication was connected to sesquicentennial celebrations. The government’s 200-page policy paper (available in French here and in English here) refers to the sesquicentennial and the events of 1867 and declared that: “We must work to re-establish what Quebecers have always wanted since 1867: a Canada that accepts them for who they are….” The first 40 or so pages of the document consist of a historical narrative covering Quebec history from before 1867 to the 1995 Referendum on Quebec independence. The timing of the Quebec’s government decision to re-open the constitution strongly suggests that historical anniversaries can become performative. In my view, it illustrates the utility of the growing body of research in management, and indeed across the social sciences, on social memory and the power of history to shape action in the present. Are you interested in state formation, constitutional change, and sovereignty in North America in the 1860s? If so, check out the programme of the Rethinking North American Sovereignty Conference in Banff Alberta. 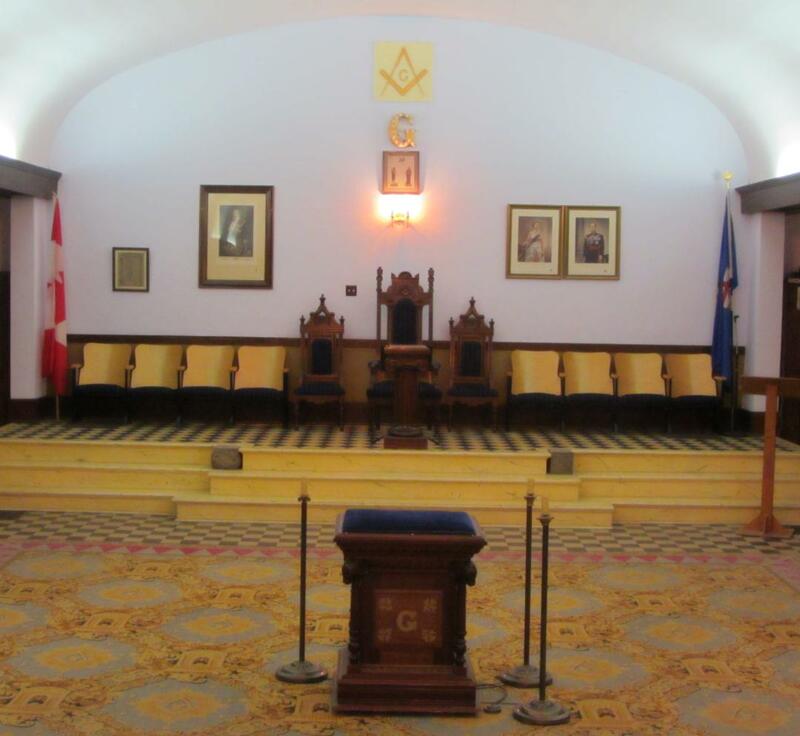 I will be speaking at the Masons Hall, 103 Caribou Street, in Banff, Alberta on Thursday, 30 July at 6:30pm. The event is free and open to the public. This conference is sponsored by the George and Ann Richards Civil War Era Center at Penn State University and supported by the Social Sciences and Humanities Research Council of Canada, the Virginia Center for Civil War Studies at Virginia Tech University and the following academic units at the University of Calgary: the Department of History; the Centre for Military, Security, and Strategic Studies; the Faculty of Arts; the Latin America Research Centre; and the Office of the Vice President for Research. This offhand remarks reveals how the US policy-making establishment views Canada and Mexico– dependencies in the same way that, say, Belorussia is a dependency of Russia. It has the ring of truth– not that there is anything inherently wrong with being a dependency! One of the great things about Canada is that it doesn’t making a fetish over sovereignty or maintaining control over every last inch of its territory. It acquiesced long ago to previous acts of US territorial aggression (thinking Oregon and Washington states, plus the Alaska Panhandle and a some other bits of land. That was probably a good thing. Moreover, Canada allows the US military to tramp over Canadian soil without getting too worked up about it. Mexico has also given up pining for the territories it lost in the 1840s and is now busy exporting stuff to the US. 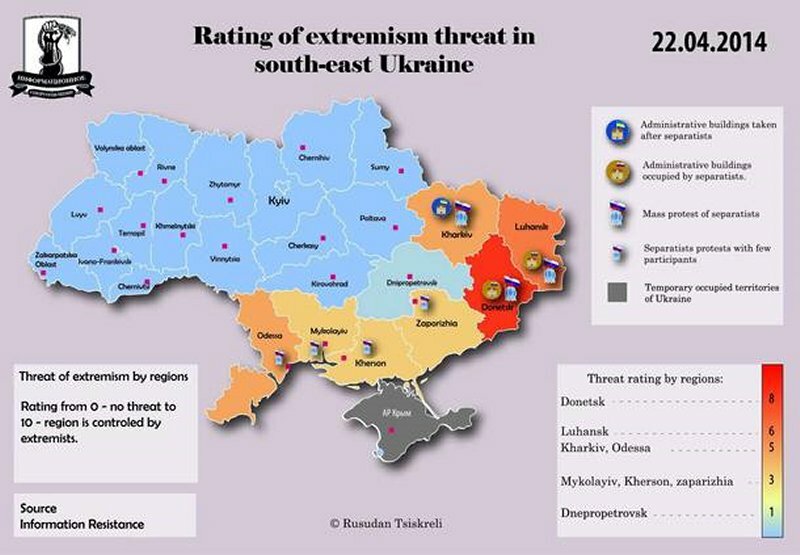 Perhaps there is a lesson there for Ukraine. Learn to compromise. Learn to roll over. Then focus on getting rich. I’m going to be presenting a paper entitled “In the Shadow of William Henry Seward: Relations Between Canada and the Caribbean in the 1860s” Monday, 4th November 5:00 – 6:30 PM in Pavilion Seminar Room, Gateway Buildings in St Antony’s College. (62 Woodstock Road). This paper examines what Canadian leaders thought about the non-white populations of the British West Indies and their future relationship with the British colonies in mainland North America. In 1866, a group of prominent British North Americans were sent by the Fathers of Confederation to observe conditions in the West Indies and Brazil. 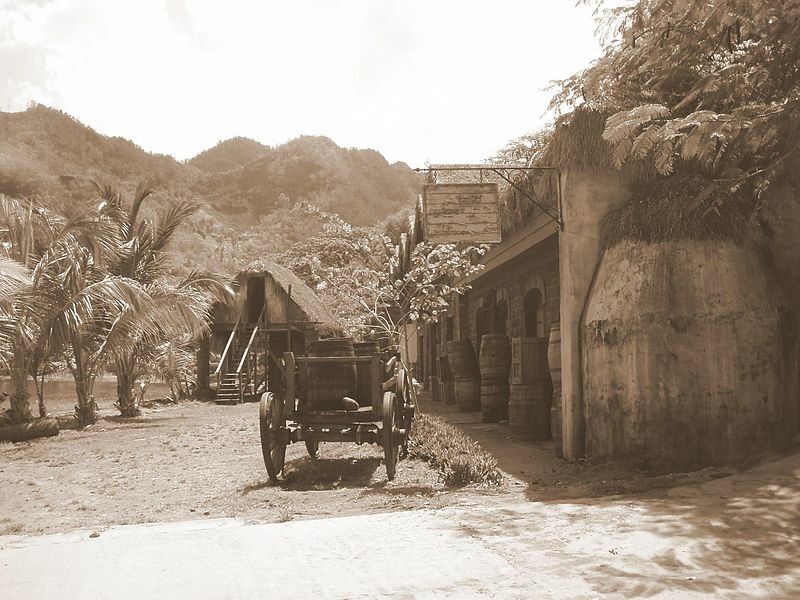 Although ostensibly just about improving commercial relations, the 1866 trade mission was a precursor of future Canadian proposals to annex all or part of the British West Indies. Our paper places the Canadian 1866 mission paralleled William Henry Seward’s expansionist programme, the cancellation of the Canada-US Reciprocity Agreement [i.e., free trade], the racial politics of contemporary North America, the 1865 Morant Bay rebellion in Jamaica, and the ongoing movement to federate the British colonies on the North American mainland. Our paper is based on correspondence in the Colonial Office files, Canadian archival materials, and newspapers. In the Shadow of William Henry Seward: Canadian Expansionism and the British West Indies in the 1860s. 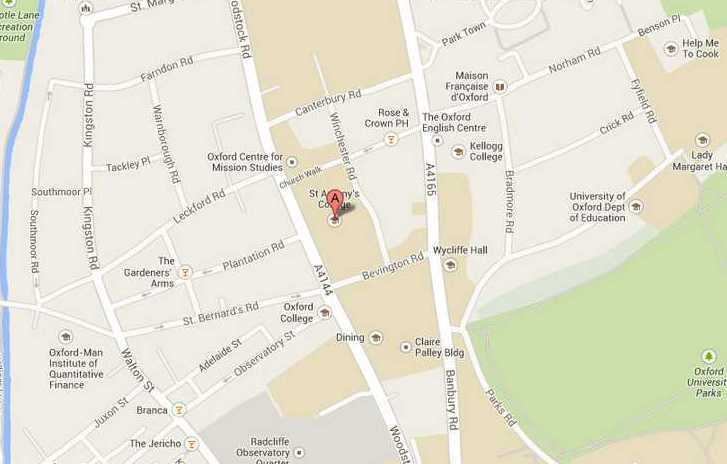 That’s the title of the paper I will be presenting at St Antony’s College, Oxford on 4 November 2013. The co-author of the paper is Kirsten Greer, who used to be at the University of Warwick here in Coventry and who is now at Nipissing University in Ontario. She won’t be with me at the presentation. Essentially, our paper examines what the Fathers of Confederation thought about the British West Indies and their future relationship with the British colonies in mainland North America. In 1866, a group of prominent British North Americans were sent by the Fathers of Confederation to observe conditions in the West Indies and Brazil. Although ostensibly just about improving commercial relations, the 1866 trade mission was a precursor of future Canadian proposals to annex all or part of the British West Indies. [I’ve published on one such initiative and my co-author has published on other linkages between British North America and the British West Indies]. Our paper places the 1866 mission in its context, which included William Henry Seward’s expansionist programme, the cancellation of the Canada-US Reciprocity Agreement [i.e., free trade], the racial politics of contemporary North America, the 1865 Morant Bay rebellion in Jamaica, and the ongoing movement to federate the British colonies on the North American mainland. Our paper is based on correspondence in the Colonial Office files, Canadian archival materials, and newspapers. 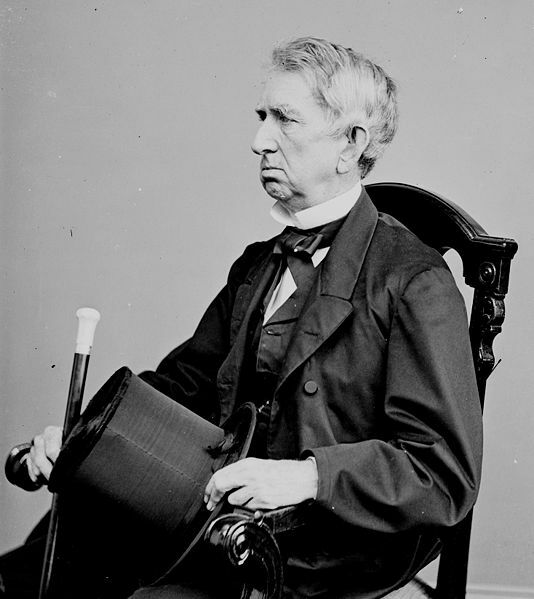 Who was the William Henry Seward referenced in our title? He was the Secretary of State in the administrations to Presidents Lincoln and Johnson. During the Civil War, Seward’s focus was, of course, on using US diplomacy to help defeat the South. After 1865, he focus turned outwards. 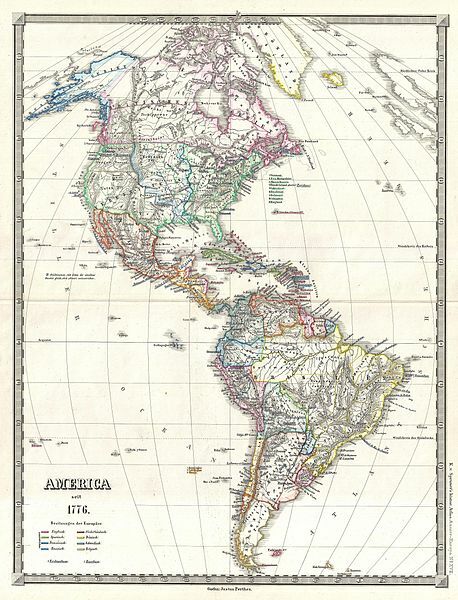 Seward had an ambitious program of territorial expansion he advocated the acquisition of a variety of territories in the Western Hemisphere by the US. Had his plan been implemented, the United States would be larger and would have a population with a much smaller proportion of whites, which is one of the reason’s his plans were opposed. Seward’s plan for the annexation of Russian America (Alaska) was actually implemented: in 1867, the United States purchased Alaska from the Tsar for $7,200,000. Needless to say, the actual inhabitants of Alaska had no say in this process. Seward also attempted, unsuccessfully, to acquire others territories near the United States. In 1865, he attempted to purchase the Virgin Islands from Denmark. He also attempted to increase US power in other parts of what might be called “Greater North America.” Between 1865 to 1867, the United States support the rebels in Mexico who were attempting to overthrow the French-backed Emperor. Seward also spoke about annexing all or part of Canada to the United States. In the 1860s, it was seriously proposed by a number of US policymakers that Britain simply give Canada to the United States in lieu of a cash payment for the damage to the US merchant marine that had been done by the Confederate commerce raiders constructed in British shipyards. Such proposals overlooked the fact that British North America had its own elected governments and population with their own identity and belief in their right to self determination. The mid-1860s were a crucial turning point as it saw Canadians going from being objects of Great Power politics to being actors in the international arena in their own right. The 1860s is also when we start to see the first stirring of Canadian sub-imperialism, that is the desire of Canadians to acquire overseas colonies of their own. Seward and other Americans implied that Canadians could be traded from Britain to the United States are bargaining chips in a complex diplomatic bargaining game. In the 1860s, the Fathers of Confederation came to imitate Seward’s imperialism by developing their own expansionist vision that embraced both the British territories in western North America and the British possessions in the West Indies. No actual tariff agreements resulted from the commissioners’ travels in 1866. In the short term, the main practical result of the mission being a semi-monthly steamer service between Halifax and the West Indies. The conversations British North Americans had around the trade mission are chiefly important because they reveal different elements of the emerging Canadian identity on the eve of Confederation. Even though the trade commissioners did not confine their attention to British colonies, visiting the New World monarchy of Brazil and two of the possession of the Spanish Crown, the ideology of Britishness influenced the commission, as did contemporary ideas about race. Monarchism and the belief that monarchical institutions of any sort were better than the republican constitutions that were predominant in the Western Hemisphere also influenced the commission. After 1867, all of these ideas would continue to shape public policy in the new Dominion of Canada. Yesterday, I posted some thoughts about the Confederation 150 conference, which will be taking place today (26 June 2013) at the Museum of Civilization in Gatineau, Quebec. Participants will be discussing how the 150th anniversary of Confederation in 2017 should be celebrated. I objected to the fact that none of the historian who actually study Confederation (including yours truly) were invited to the conference. The speakers are mostly heritage professionals (e.g., people who work in museums or for broadcasters). I’m disturbed by the fact scholars who study Confederation won’t be part of this conference. People who organize heritage events should be in a continuous dialogue with working historians (i.e., with people who do primary source research and then publish their findings). It’s dangerous for all concerned if these groups don’t remain in contact. For one thing, you can end up with heritage organization disseminating an outdated or otherwise inaccurate version of history. This is particularly the problem when historians abandon the task of communicating with the public to journalists, civil servants, and politicians. In recent years, we’ve seen examples in a number of countries of politicians and journalists either communicating half-truths (e.g., Vimy Ridge was a great WWI battle and the birth of Canadian nationalism) or, in some cases, displaying an astonishing outright historical ignorance. Some readers will recall that in 2006, the British government prepared a guide for prospective citizens that was filled with factual errors about history. In 2012, a minister in the Canadian government declared that France was allied with Britain in the War of 1812, which clearly demonstrates that he knows little about the origins of this war. Moreover, engaging with the heritage community can keep historians, especially academics, grounded. I’ve always believed that historians ought to write in such a way as to be accessible and interesting to both academics in allied fields (e.g., political science) and, more importantly, to the broader public. I thought I would draw your attention to two forthcoming presentations at the Institute of Historical Research in London. On 29 January, Dr Jatinder Mann (King’s College London, Menzies Centre for Australian Studies), will present a paper called “ ‘To the last man and the last shilling’ and ‘Ready, aye ready’: A comparison of the conscription debates in Australia and Canada during the First World War” to the military history seminar at the institute. A podcast of his talk will be placed online within a few days. On 11 June, Dr Mann will present “The British World during the First World War: Australia, Canada and New Zealand and the question of Japan” to the international history seminar at the institute. Dr Mann is a postdoctoral research fellow at Menzies Centre for Australian Studies at King’s College, University of London. He defended his PhD at the University of Sydney in 2011. His publications include: “The introduction of multiculturalism in Canada and Australia, 1960s-1970s”.Nations and Nationalism, vol. 18, no. 3, July 2012. And “The evolution of Commonwealth citizenship, 1945-48 in Canada, Britain and Australia”. Commonwealth & Comparative Politics (CCP), vol. 50, no. 3, July 2012: 293-314.